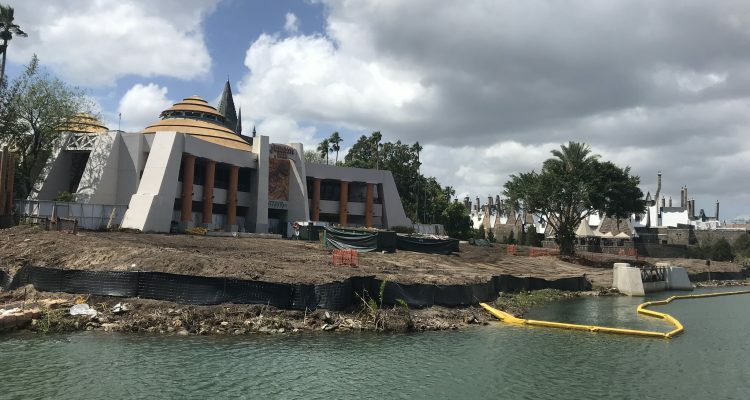 At least two new attractions and a new restaurant are currently under construction around Universal Orlando’s two theme parks, though some recently vacated areas aren’t showing any obvious signs of activity. 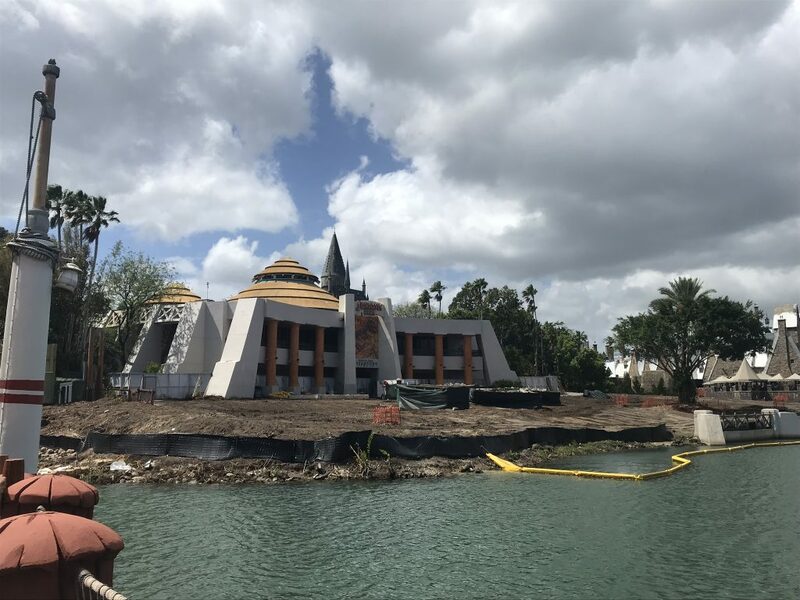 In our latest visit to Universal Studios Florida and Islands of Adventure, we documented the parks’ active construction sites and dead zones where nothing seems to be happening at all. 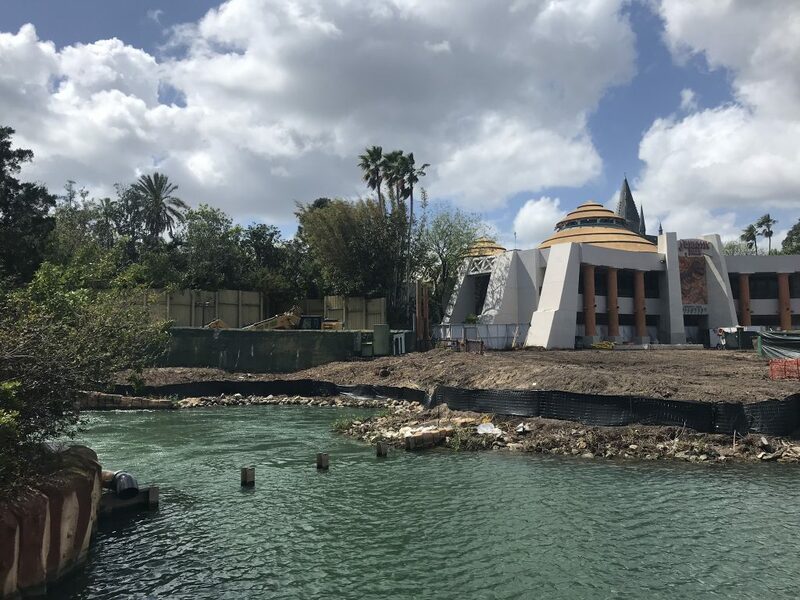 In one of the more visible construction sites you’ll find at any theme park, much of the waterfront around the Jurassic Park Discovery Center in Islands of Adventure has been cleared for a new roller coaster — though Universal has yet to confirm those plans. 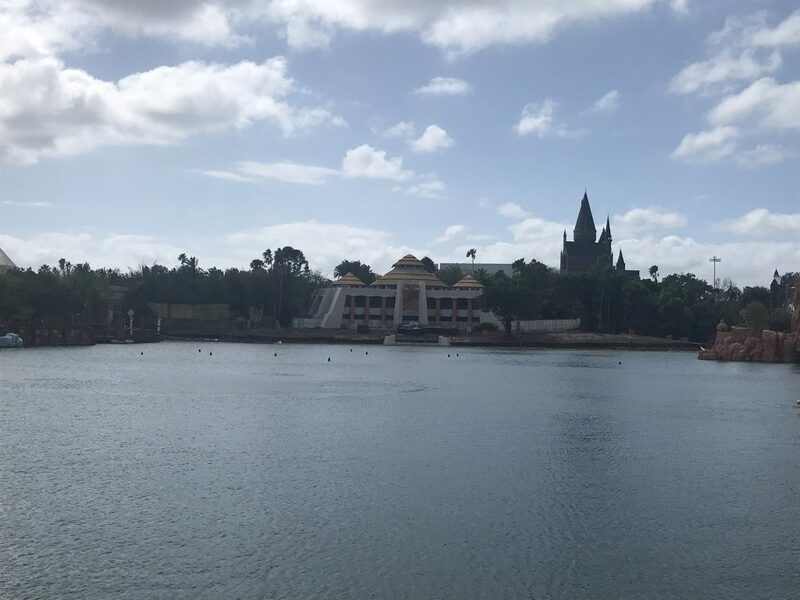 The work area is most visible from four points around the park’s lagoon: at Port of Entry, a quiet area near Me Ship, the Olive in Toon Lagoon, behind the Mythos restaurant and from the smoking section at Suess Landing. 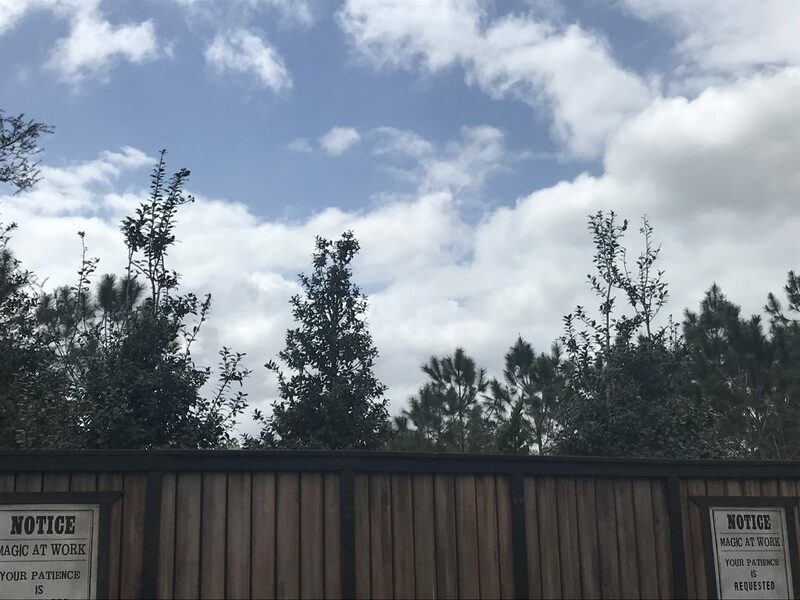 No workers were on the site during a rainy and windy day at the parks, offering an unobstructed view of the recently-cleared land. 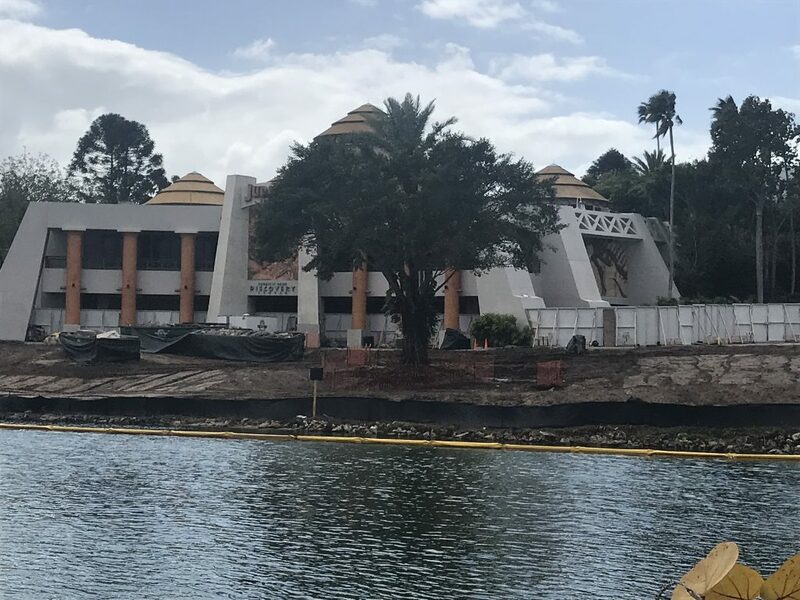 A few areas are cordoned off with orange plastic construction fencing, most notably one large tree that was not moved from the site. 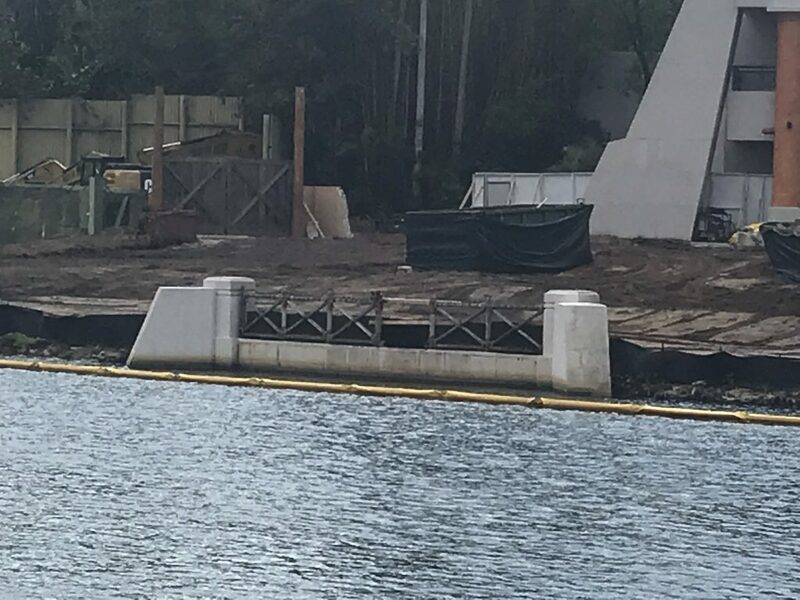 One other element that remains in place is the decorative fence along the waterfront right in front of the Discovery Center. 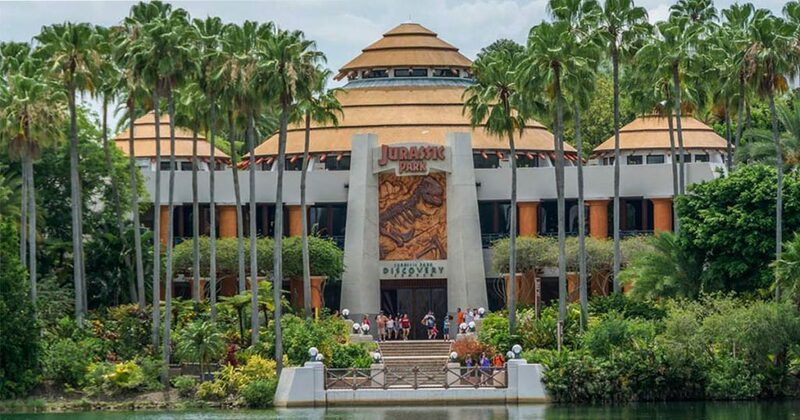 Another which didn’t survive was the old bypass bridge that linked Jurassic Park to the Lost Continent. 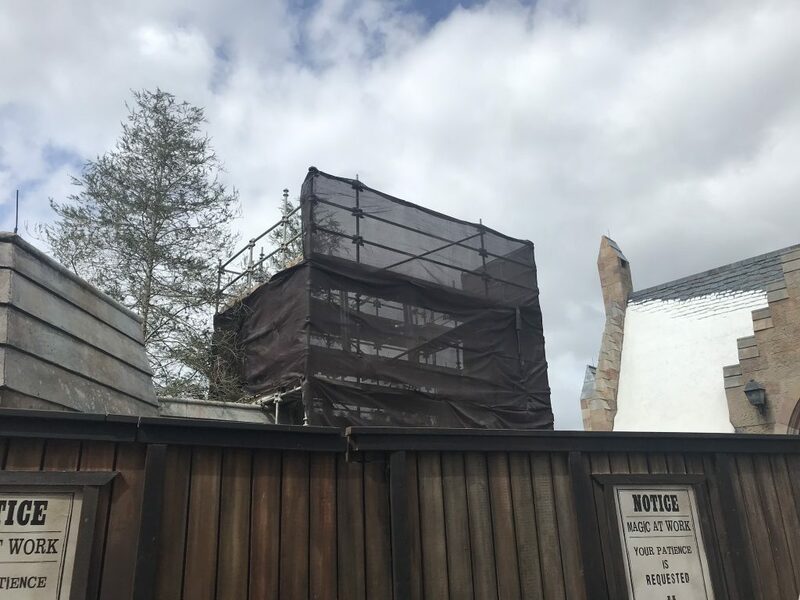 Scheduled to open on June 13, the new “highly-themed coaster” in the Hogsmeade section of the Wizarding World of Harry Potter isn’t as visibly active as it was just a few months ago. 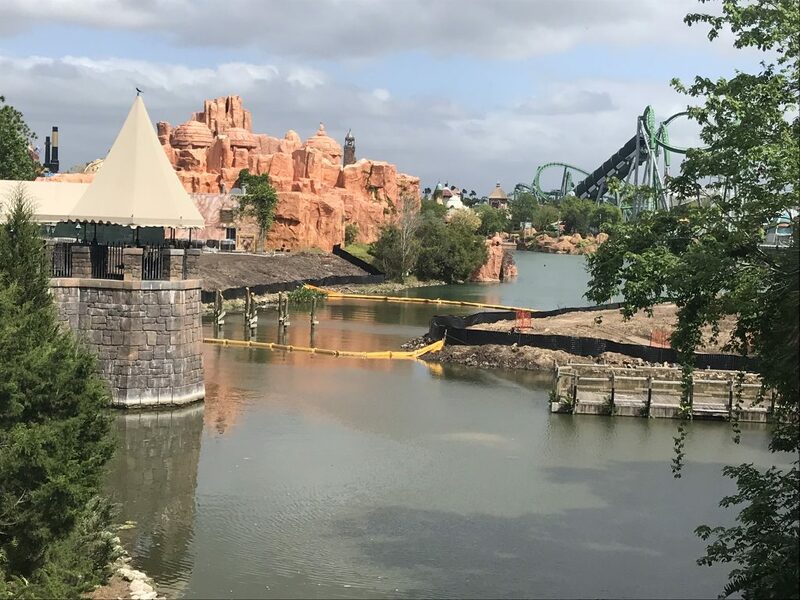 Rather than large construction cranes putting the track in place, the focus is now on building the Forbidden Forest around the coaster and perhaps preparing the new ride’s entrance. 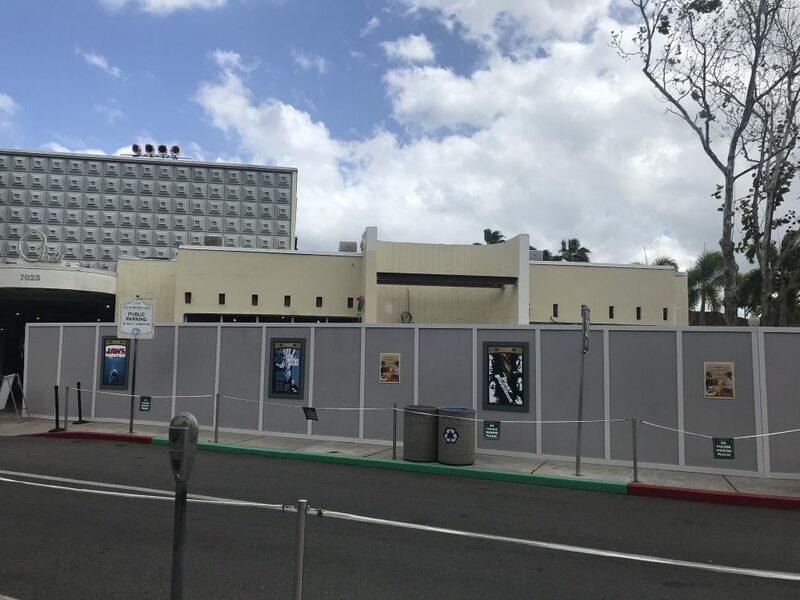 Over in Universal Studios Florida, the most obvious construction project is a new dining location themed after NBC’s “Today” show. 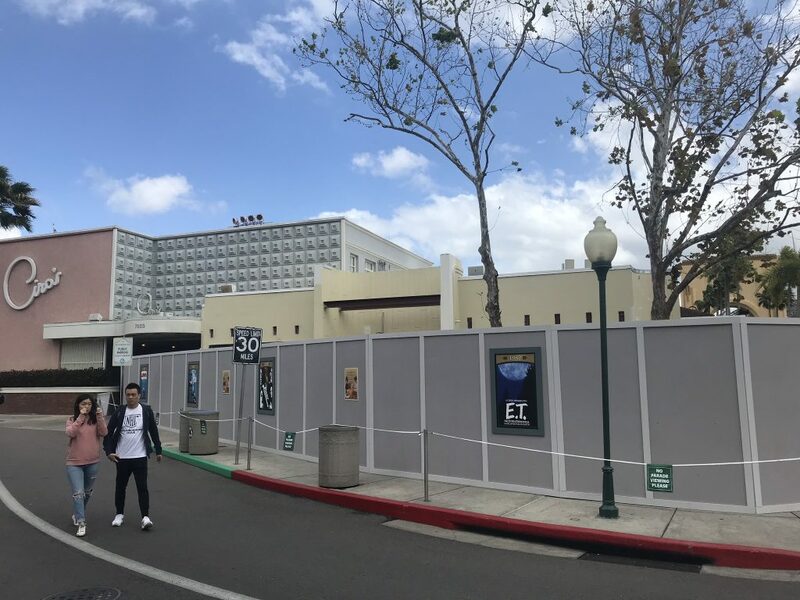 The Today Cafe is replacing Beverly Hills Boulangerie, a casual spot that dated to the park’s 1990 opening. 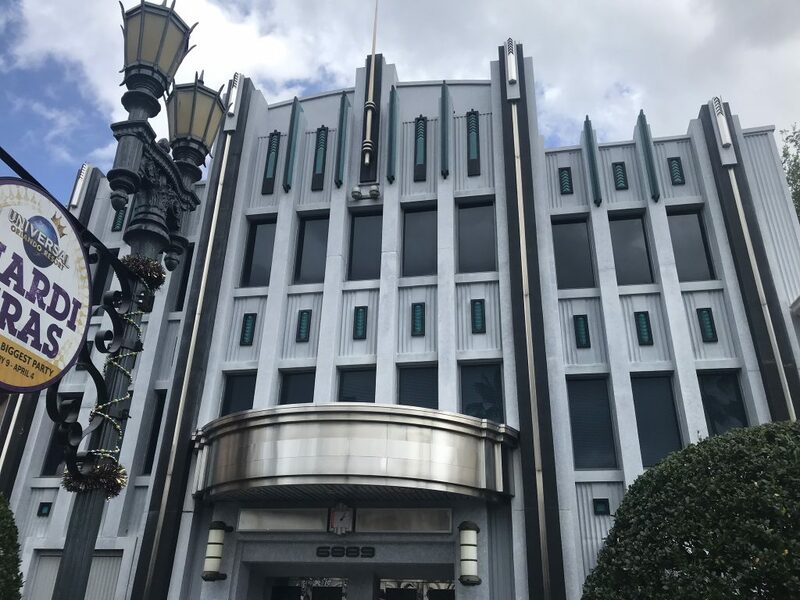 No opening date for the new cafe has been announced. 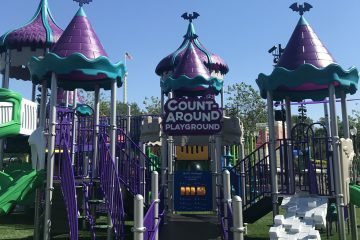 Universal has pledged to open a new attraction annually in every one of its parks. 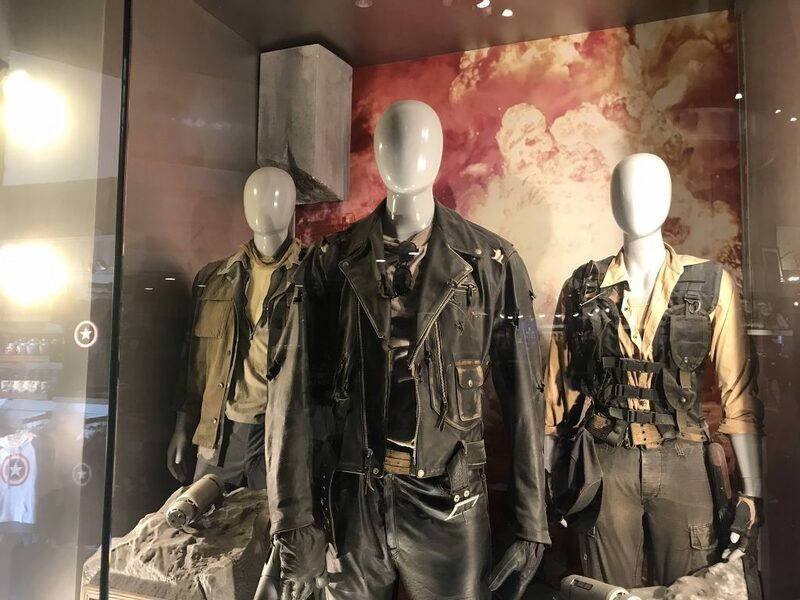 While Islands of Adventure is covered with the Hagrid coaster, little has been said about what was supposed to be Universal Studios Florida’s 2019 addition: a replacement for Terminator 2: 3D, which closed in 2017. 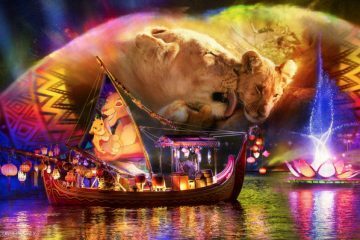 Heavily rumored to be a new show based around the “Jason Bourne” movies, Universal hasn’t made any recent comments about what intellectual property will be utilized or whether its opening has been pushed back until 2020. 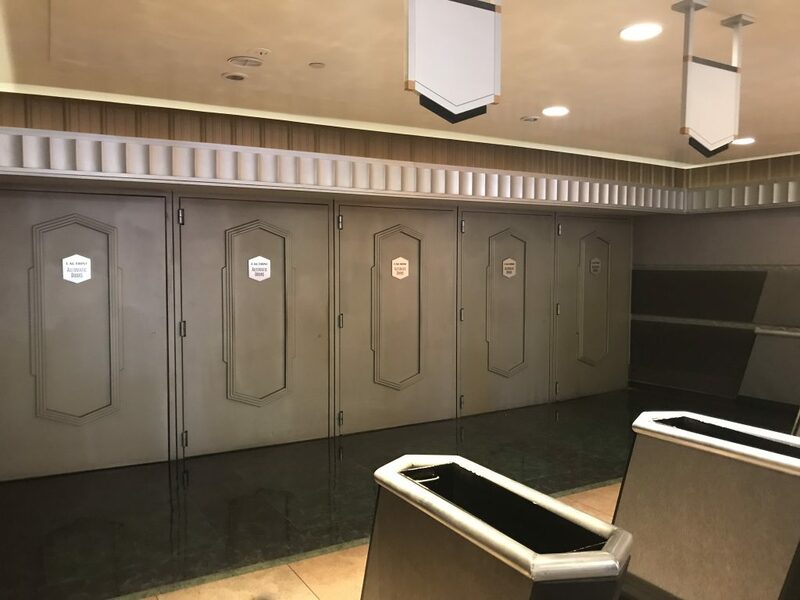 From inside the park, there’s no indication about work going on behind the closed doors of the old T2: 3D theater. 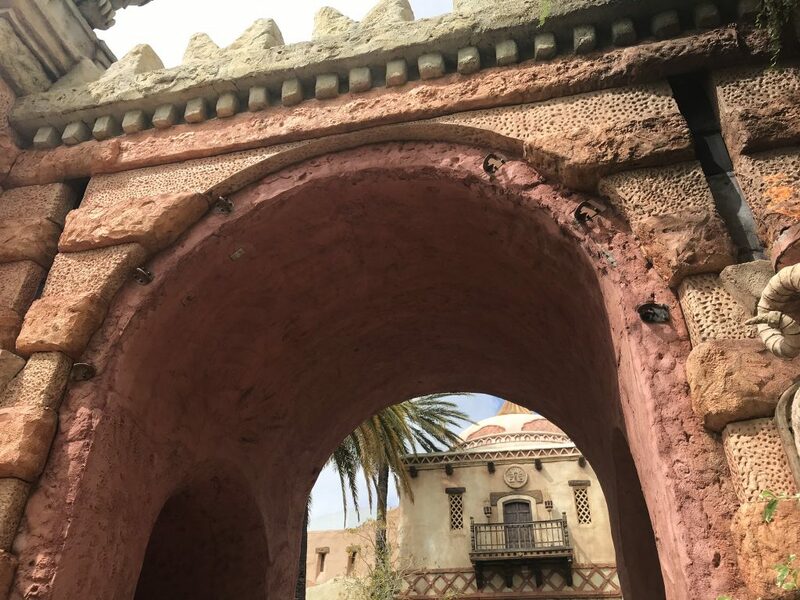 Unlike Terminator 2: 3-D, the Eighth Voyage of Sindbad stunt show at Islands of Adventure closed without a word as to what, if anything, would replace it. 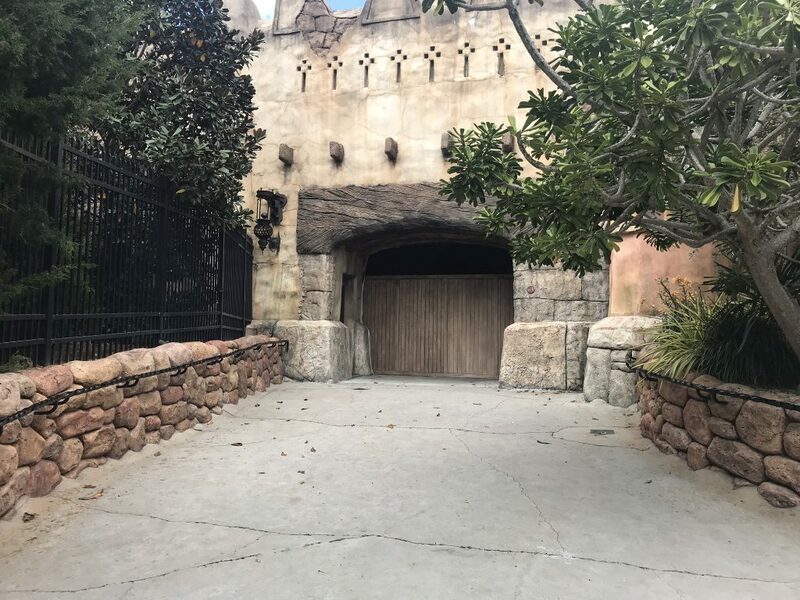 With the sign removed, the courtyard area now sits empty but accessible to guests, with wooden walls blocking entrance to the theater. 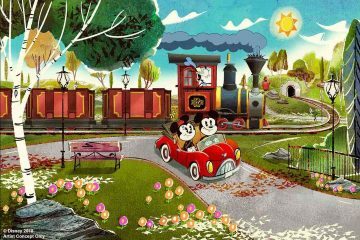 There’s no signs that any work is being done to bring in a new show.